"Homelessness isn’t just a London or city issue, but just as prevalent in local communities"
Mortgage Sleep Out has already raised over £60,000 for its partner charity and the fundraising will continue with a mass sleep out around the country tonight, with more than 70 businesses taking part in over 35 events. The official music video for Mortgage Sleep Out’s charity single, Take Me Home, will feature footage from those sleeping out taken from images and videos shared using the #MortgageSleepOut hashtag. Rob Jupp, CEO at Brightstar Financial, said: “In the mortgage industry we spend our entire working days providing homes and shelter for people across the UK. This is our chance as one industry to unite and make every effort possible to end homelessness in the UK. Mark Davies, managing director of mortgage services at Link Asset Services, commented: "Homelessness isn’t just a London or city issue, but just as prevalent in local communities. 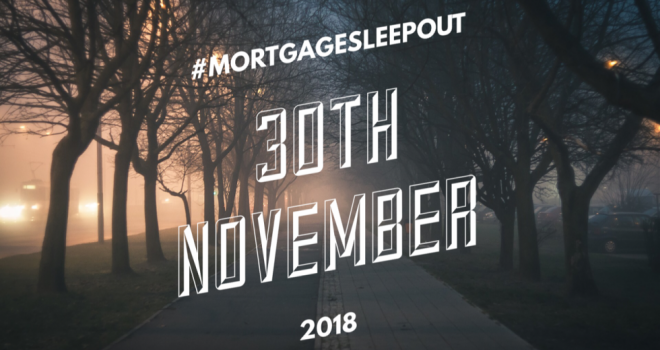 It’s a huge issue we must tackle, particularly for young people, and Mortgage Sleep Out is a fantastic opportunity for the industry to come together and get behind an excellent cause.